The Espresso Classico capsules contain 80% arabica and 20% robusta coffee. The darkly-roasted beans used for them have marzipan and nutty notes. The espresso is full-bodied and balanced, with pleasant acidity and a smoky smell. The Espresso Classico capsules are fully biodegradable and organic. However, coffee capsules and paper covers not being sufficient for best possible aroma preservation, our capsules are packaged in a second integrated aroma preservation bag serving as an oxygen barrier so that the aroma is preserved for up to 10 months. But once the bag is open, the capsules should be consumed within 14 days. 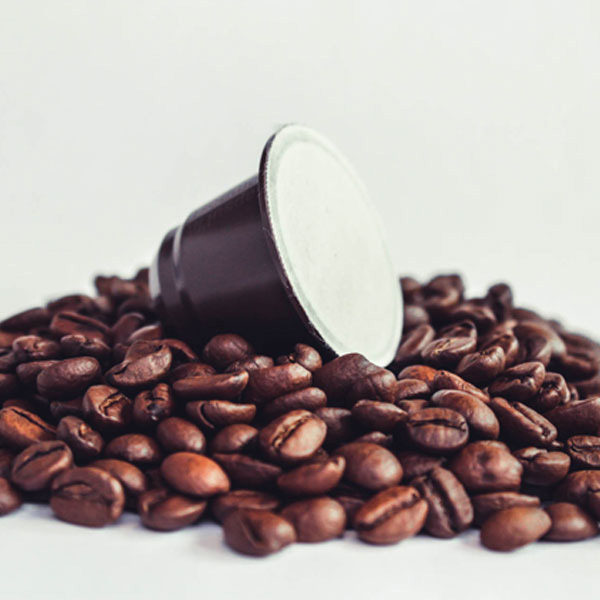 Every year, about 2 bn coffee capsules are emptied in Germany, which corresponds to 4,000 tons of aluminium and plastic waste. The production of aluminium doing a lot of harm to the environment, we have developed our biodegradable capsules. In fact, nobody really wants to damage the environment. Moreover, by purchasing our coffee capsules, you help reduce the slash and burn in the Brazilian rain forest as well as the energy waste resulting from the production of aluminium capsules. Suitable for all current Nespresso ® coffee machines. Nespresso ® is a third-party brand which is not connected at all to Panda Coffee Berlin or Dollos GmbH.